In order to survive, you need to have a plan. You can’t form an effective plan unless you know what you have available to you. This is about how to go about doing that. You may not be lucky enough to have a copy of SAS Survival Handbook, Revised Edition: For Any Climate, in Any Situation or Complete Wilderness Training Manual with you but you can still survive if you have some skills, figure out what you have available, and make a plan. To those who’ve had survival training, this will be quite familiar. 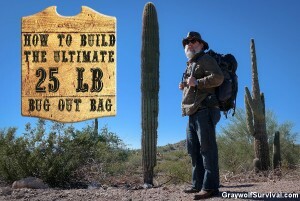 Les Stroud talks about a similar idea with his 3 zones. It’s nothing I came up with on my own. I just wanted to simplify things and write it in a way that someone with zero survival skills could understand in a few minutes. I call it my ‘Three Inventories of Survival.’ No particular reason other than I just wanted a name and it kind of works. This is just the way I do it but you may do it differently. 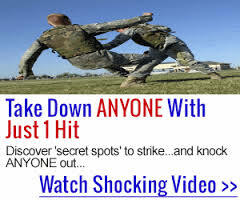 This works whether your survival situation is dealing with hiding in a bunker for a storm to pass, surviving in the woods after a plane crash, or even if you happen to find yourself about to head into an ambush. It’s all the same thing. You need a plan. That plan has to work with whatever you have available or it’s not much of a plan. This is a general idea, not a hard-and-fast rule. You’ll have to let the mission particulars dictate exactly what you do but these are all the basics. 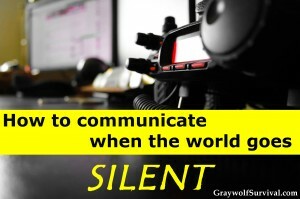 So what would you do first in a survival situation? Obviously, you have to take care of any immediate threats first. If you just slid down the hill and got out of your car and see a bear standing in front of you, the last thing you want to do is empty your pockets. Immediate threats include getting a fire going if you’re in a frigid environment and finding or building a shelter if it’s raining – or about to, and you are risking hypothermia. Then you need to find yourself in a safe spot and start your 3 inventories. So what are the three inventories? Obviously, you probably didn’t mean to find yourself in a survival situation. You may have slid on the ice, off the side of the road at night, and landed 200 feet down an embankment with no way back up to the road. You may have just swum ashore after your sailboat hit a whale. Whatever. In a lot of cases, you may not have time to go get what you need to survive, and you may not know the people you’re now facing this stuff with. First thing you need to do after you’re in a safe spot and have taken care of anything immediate is get accountability. Who do you have? Is anyone wounded? What skills do you all have? When possible, you should have one person responsible for something if they’re an expert, such as a former medic being responsible for medical stuff. You won’t always know that unless you ask. This is just a quick check of skills for things that are immediately facing you. Have everyone gather around and pull out everything they have in their pockets out in front of them. Make sure everyone can see what everyone else has so you have a group inventory. If you’re the leader, you need to at least lay your eyeballs on every piece of equipment that everyone has. 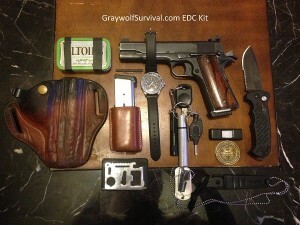 In these cases, you may find that the only thing you have on you at the time is your EDC kit. You can put together a cheap EDC kit yourself or just buy one like the ESEE Survival kit but just make sure you always carry something with you at all times. You never know when you’ll need it. An EDC kit is your Every Day Carry kit. It’s what you always have on you. In real life, your EDC kit will change from day to day, based on what you’re wearing and where you’re going. What I wear on me to starbucks each week allows me to carry a lot more than what I could carry if I were going swimming at the beach. It also doesn’t allow me to carry as much as what I do when I’m downrange. For an example, here’s what I carry most days. I have a core kit set up that I put in my pockets. As long as I have enough room, I carry it all. Because of ridiculous rules, I can’t always carry everything if I’m in uniform. 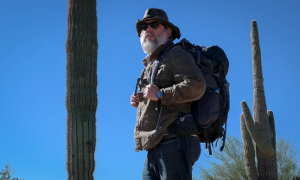 Regardless, I pretty much carry everything I’d need to at least buy myself enough time in a survival situation to be able to sit down and make a good plan. 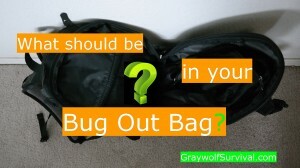 Hopefully, you’re lucky enough to have a bug out bag or equivalent. Depending on the situation and who’s in your group, you may decide to just throw everything together or you may keep things separate. In a lot of cases, I’d just keep things separate and then make sure that everyone leaves the meeting with enough equipment that they could survive alone if they got separated. If one person has 3 ways to start a fire and one person has none, redistribute accordingly. Separate each pile into what the items will do for you. Have a section for firestarters, one for water filters, one for food things etc. Pay particular attention to water, and if you have a credible threat, inventory your ammo and weapons availability. Have everyone test everything they have to make sure it works. Light each lighter and flashlight etc. Obviously, this doesn’t mean light up your matches. Also, pay attention to things that you may not have normally thought of such as what’s in people’s wallets that can burn or any lint etc. Start to get an idea of what skills people have that you may be able to use now or later. Once you’ve done this, pay particular attention to what you don’t have. You now have an idea of what you have in your first inventory. 2: What’s in your immediate area? Once you’ve laid out what’s on you, take a look at what’s within view. What’s the weather? How much daylight do you have? What kind of food is probably in the area? What could you use for shelter right now? Where’s the most likely place water could be? Do you have everything you need for water, food, shelter, fire, etc right here or do you need to head out to get those things? Would it make sense to set up camp here and send out scouts for a few things? In the Army, we have an acronym (ok, we have thousands and thousands of acronyms) called METT-T. METT-T stands for Mission, Enemy, Terrain, Troops available, Time available. Mission: In the case of a survival situation, the mission is to get back to civilization as soon as possible, with no further casualties. Enemy: The enemy is most likely the environment, but you could also be facing animals or even human threats. Terrain: Terrain is a big one. Unfortunately, you may not be able to get a full view of what your terrain is at this stage of the game. You do want to know what kind of trees there are, if water is plentiful or not, and if there’s a danger of crevices or cliffs etc to face if you send out scouts to find things. 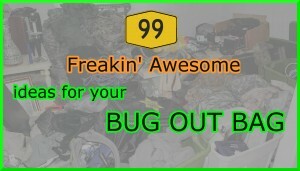 Troops: You may have started this in the first inventory but this is where you need to be really working it. Find out everyone’s background, both by profession and hobby. Ask specific questions regarding things like survival training, medical training, climbing skills, etc. Time: Time may affect what you’re facing as well. If you’re in the frozen tundra, you need to move quickly. If you’re in the middle of Appalachia in the springtime, you probably have more time. See what you have now with what’s in your area and what’s on your team. 3: What’s in your extended surroundings? The third inventory you need to take is what’s not in your immediate view. Now that you have a decent idea of what you have on you and in the immediate area, you should have an idea of what you need to find. The best way to do this is almost always to get a high vantage point. Climb a tree or get to the top of a hill. Look around and see what’s all around. The first vantage point you find may just be to find you a better vantage point. This is sometimes one of the most dangerous things you’ll do. When you’re at the vantage point, take a look at how the land flows. Water always goes downhill. Civilization always needs water so you’ll be more likely to find them around it. Pay attention to cuts through the vegetation. In some cases, this may be a stream but in a lot of cases, it could be a road, a powerline, or a pipeline. Compare your area to what’s around. If you’re in an area that has no plants, you probably won’t find many animals or much water. See what may be better. Once you’ve gotten a good image in your head or written it down (even better), go back to the group and come up with a gameplan. Keep everything in mind that you’ve seen in case it comes up later. Based on what you see, you need to either set up camp or move to another area. Assign duties to people for fire, water, shelter etc. These duties may change but it usually works better if someone knows that they’re the guy responsible for making sure there’s a fire tonight. They may not be the one who goes out to collect the fuel wood, tinder, and kindling, but they need to organize it. They’ll be the one who builds the fire correctly and gets it to light. Each time you’re in a new camp area, you should revisit your three inventories and adjust your plans. What are your questions or thoughts?